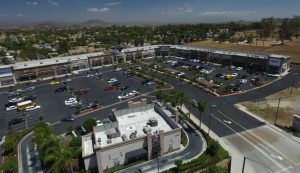 We are proud to announce the addition of several new tenants to the Antelope Square family, along with updates from a few of our current tenants. Los Montana’s Mexican Grill, Suite #109, was recently purchased and is now under the new management as Lalo’s Mexican Grill. This family operated business brings a delicious flair to Mexican cuisine with fresh ingredients, including homemade flour tortillas. Mattress Masters, Suite #206, celebrated its Grand Opening on July 29 & 30 with a Grand Opening Sale, which featured music, free food and a jumper for the kids. This local, family-owned business is an authorized dealer of several well-known mattress brands, and help their customers select new mattresses at any budget. Be sure to stop by and ask for Yogi the Bloodhound, he’s sure to help you track down the best deal. ERA Donahoe Realty, Suite #208, is a realty group dedicated to helping families buy and sell their homes. They provide great customer service to an ever-changing industry with a dedication to the new innovations and technologies that are impacting every aspect of our lives. Angel Care Vet Hospital, Suite #212, is expanding to Suite #211 to better serve dog, cats and their families. They strive to offer excellent veterinary care and offer reproductive services, surgery, vaccinations, and exams. The Little Red Barn Indoor Playground recently signed their lease for Suite #210. This farm themed, indoor playground is designed for children 0-6 years old, and provides a safe environment for little ones to have fun and learn. A grand opening is expected to take place this September.